Alligators are a common sight near just about any body of water in the southeastern United States, but they're especially prolific in Florida. And while they're usually found lurking in or nearby the course water hazards, they'll occasionally decide to migrate to new territory. Such was the case at the Bay Palms Golf Course at the MacDill Air Force Base in Tampa, Fla. on Friday. 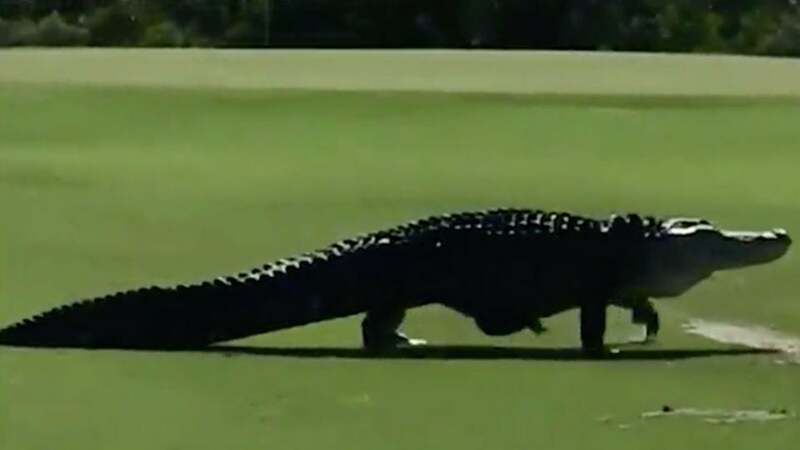 Fox News published a video of a giant gator trekking across the fairway, shot by U.S. Marine Corps Gunnery Sergeant Jake Sherrock. In the footage, you can hear voices describing the gator as an "absolute monster" and "like a freaking dinosaur." The voices speculate that the gator is about 12 feet in length. According to Sherrock, the gator is a longtime resident of the course waters. You can watch a video of the impressive beast below. Which Tour-player wines are worth your time? #AskAlan mailbag: Is Tiger Woods going to win the Grand Slam this year?